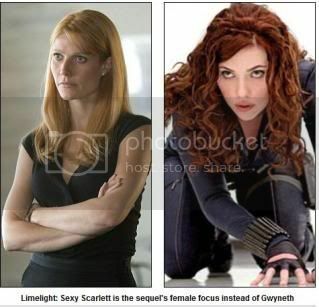 A source said: ‘Gwyneth was afraid she’d be upstaged by Scarlett and not being in the campaign was the final straw. Gwyneth, 36, now plans to boycott a promotion in San Diego later this month. ‘She’s heading to New York instead, she’s so angry,’ added the source. Have you ever been in a Mango? I don't really consider ScarJo to be a classy lady, but that place is for TRASH. Also, um, do you really see a lot of ads where men aren't being passive, too? Maybe I've just seen too many Armani ads where the men are lounging on the beach while some woman straddles them lately, but I can't really think of any fashion ads where the men are playing basketball or whathaveyou. No, I've never been in one. I didn't even know it was a store and not just a label. But to answer your question, it always seems like women have to appear passive and vulnerable in fashion ads, but men are put in a wider variety of positions, and are often presented as active, strong, aggressive, powerful, or in control in some way. They aren't necessarily playing basketball, but maybe they're in a strong stance with their feet apart looking sternly at the camera, while a woman in the same ad is clinging to his shoulder with her legs bent inward and a coy, flirty look on her face. Dude, that ad is insane. Funny how if that was a bunch of women standing around a guy, it would seem hot, but that just seems scary. I know, right? It would either seem hot (for him, anyway), or it would serve to make the girls look like silly fan-girls. Sort of like how a male teacher hitting on a female student is always oh-so-threatening, but reverse the genders, and everyone thinks the student is lucky and should try to score. Media loves to cover the fights of the cats in all forms and kinds of the battle. Yes, the fight of the cat has been intriguing game for the viewers and all fans of the sports.